Ashley Canipe, MD, is an interventional gastroenterologist. She attended Emory University for undergraduate, medical school and internal medicine residency. Dr. Canipe then completed a fellowship in gastroenterology, hepatology and nutrition at Vanderbilt University Medical Center followed by an advanced endoscopy fellowship at Florida Hospital Orlando. Dr. Canipe has conducted research on topics such as Barrett’s esophagus, endoscopic ultrasound, hepatitis C and global health issues pertinent to gastroenterology. In her free time, Dr. Canipe likes volleyball, yoga, crew and scuba diving. She also enjoys spending time with her husband, daughters and dogs. Specialties include: Barrett's esophagus, bile duct disorders, digital cholangioscopy, endoscopic ultrasound, fine needle aspiration, inflammatory bowel disease, pancreatic disorders, polyp removal, radiofrequency ablation and treatment of small bowel abnormalities. 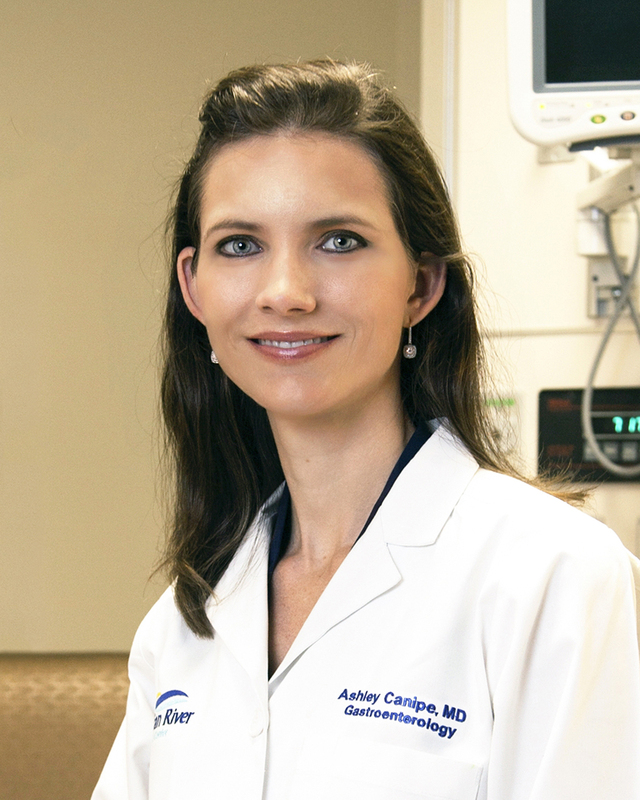 Get to know the personal and professional side of Dr. Ashley Canipe, interventional gastroenterologist at Cleveland Clinic Indian River Hopsital. Gastroenterologist Ashley Canipe, MD, describes endoscopic ultrasound (EUS), a quick outpatient procedure.